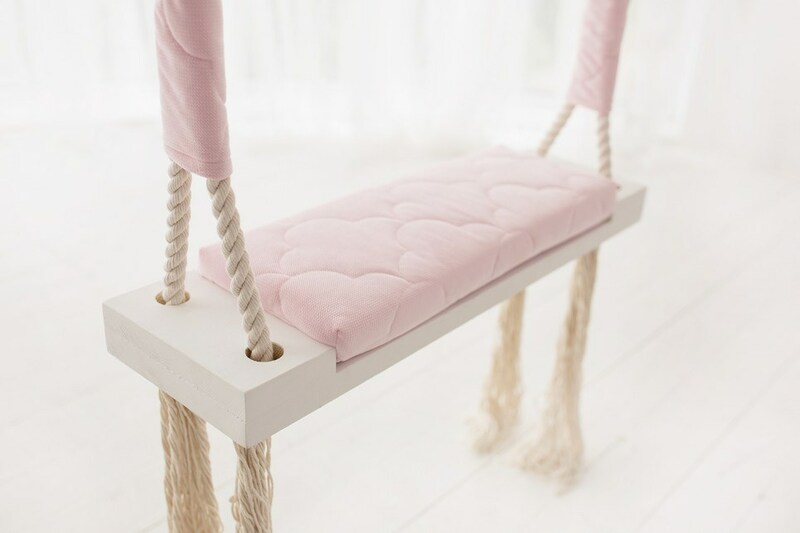 A lovely gift for a little girl or boy, the Pink Velvet Wooden Swing Set is perfect for home, backyard or terrace use. 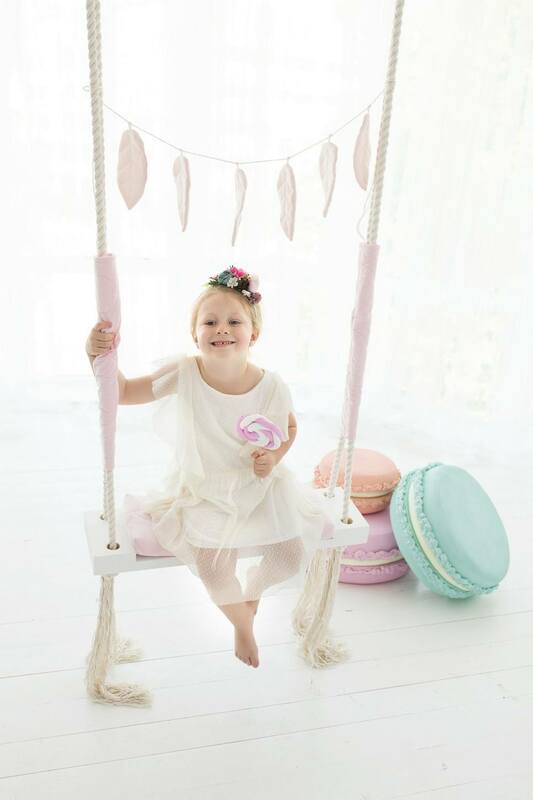 This toddler wooden swing will look great hanging anywhere in your home, adding a touch of Christmas magic wherever placed. 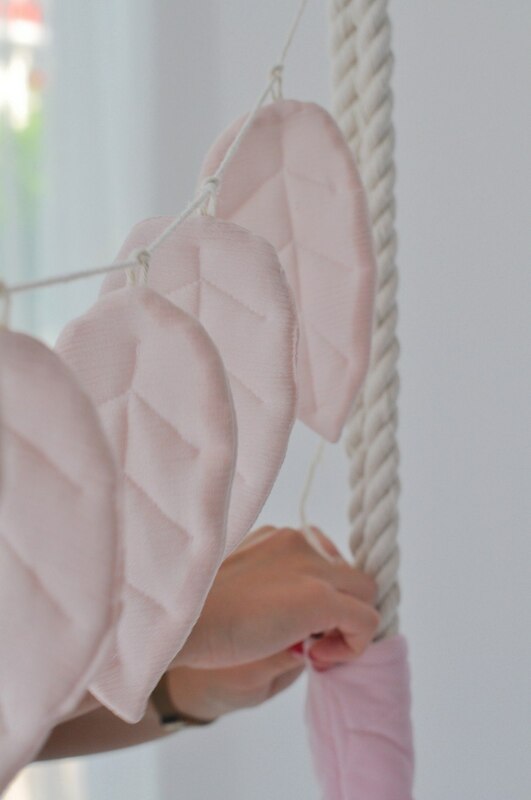 This wooden swing will also be a beautiful decorative element in the children’s room. A beautiful addition to any garden, this wood porch swing easily attaches to trees or an existing swing frame. Surely brings lots of fun memories for the parents and the child. 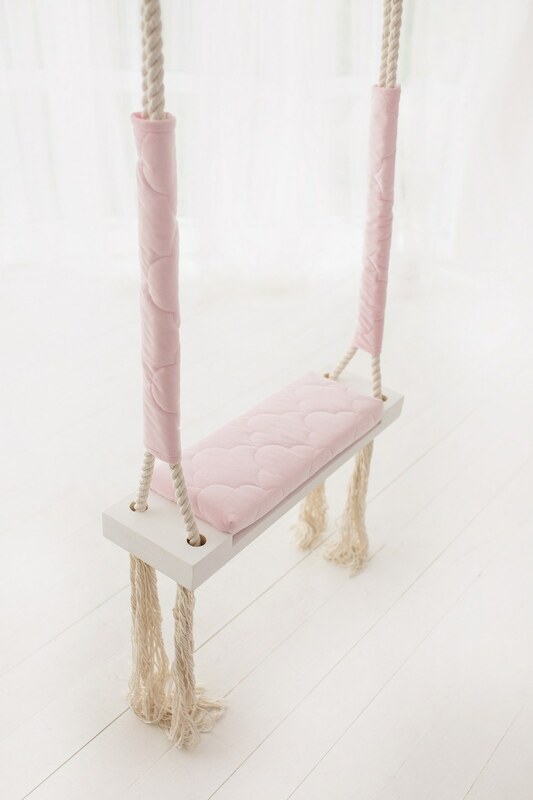 This little indoor swing would be a magical gift for any miniature lover. 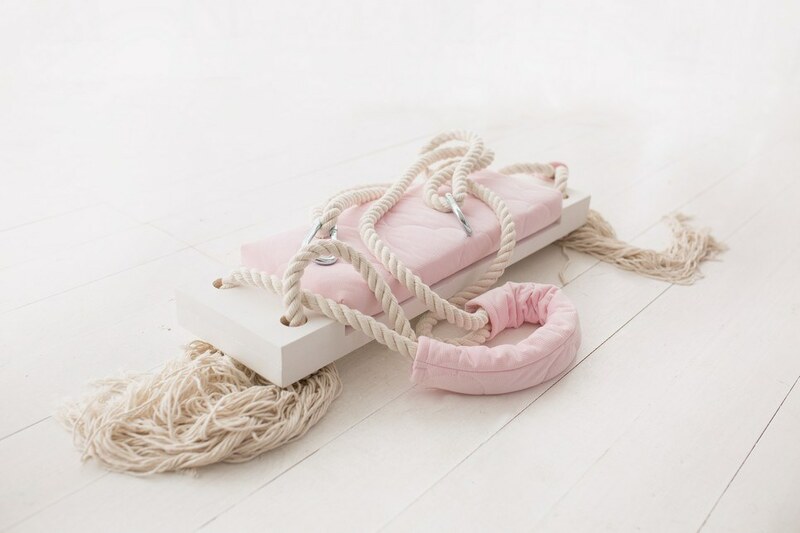 Suitable for children over 4 years of age, this children’s play swing is made of high-quality quilted velvet and filled with a soft upholstery sponge. The seat is attached to the swing by means of a strong Velcro fastener so that it can be removed for washing. It makes a lovely Birthday, Christmas or alternative Easter gift for Springtime. 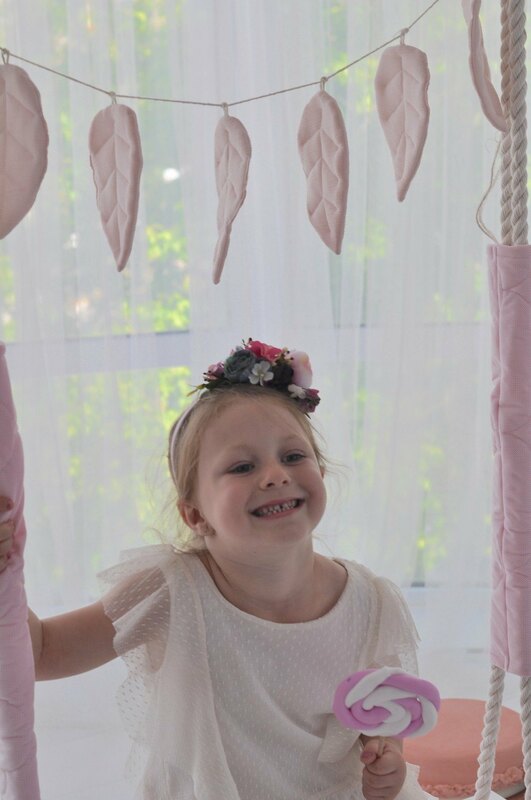 A great fun for toddlers, this outdoor wooden swing is 100% handmade with European fabrics safe for children and CE certified. 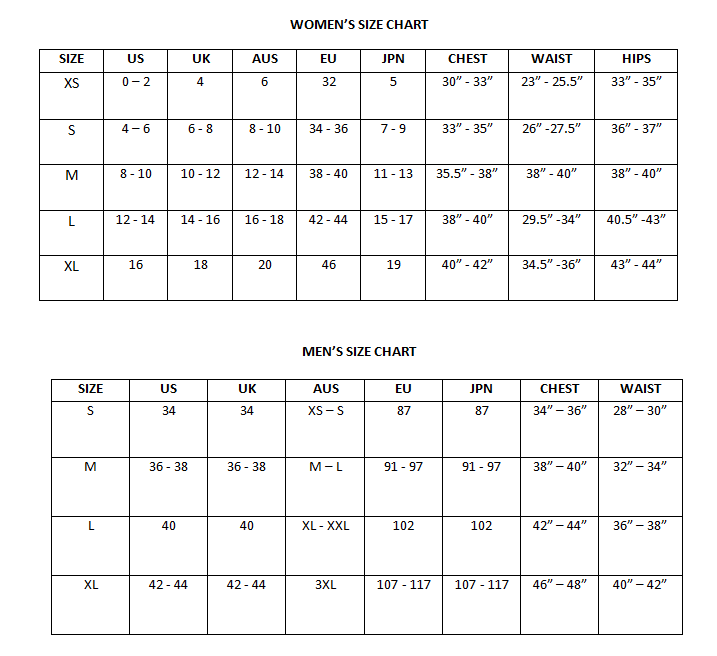 It is very simple to move around and is great for summer parties. This wooden swing set would also make a lovely gift and is ideal for smaller gardens. Care Instructions: This toddler swings can be washed in the washing machine at 40 degrees, centrifugation – 800 revolutions. Do not wash chemically and do not bleach.